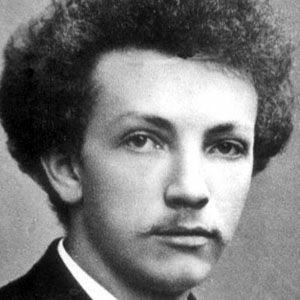 Though he also had a successful career as a conductor, this German musician is best remembered for composing significant operas (including Salome and Der Rosenkavalier); symphonic poems (including Also sprach Zarathustra and Death and Transfiguration); and lieder and orchestral pieces (including, respectively, Four Last Songs and Metamorphosen). He grew up in Munich, Germany, and received his early musical education from his father, the prominent horn player Franz Strauss. He composed his first piece of music when he was just six years old. His 1888 tone poem, Don Juan, is regarded as his first mature work. His marriage to soprano opera singer Pauline de Ahna resulted in a son named Franz. He and fellow composer Gustav Mahler belonged to the same post-Wagnerian school of German Romanticism.